Swansea, Cal. 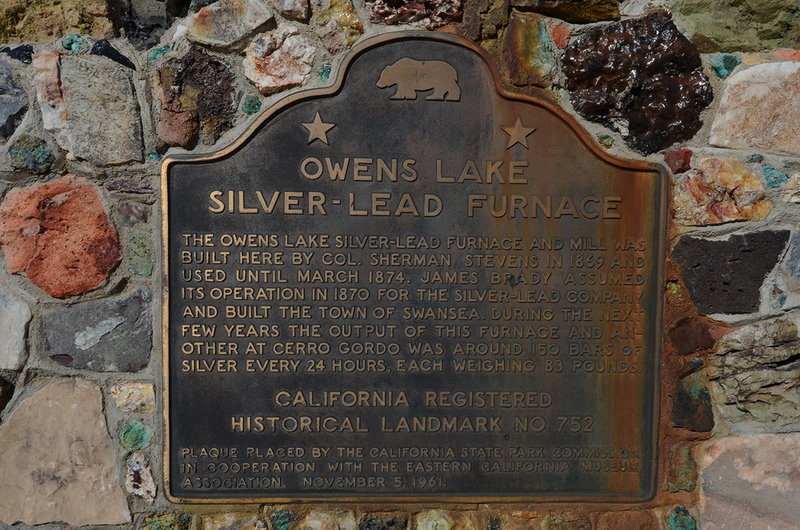 was founded in 1870 by James Brady, who had recently assumed operation of the Owens Lake Silver-Lead furnace and mill. Located on the eastern shore of Owens Lake, Swansea reportedly had a population of 2,200 at its peak. The main reason for its existence was to house workers from the nearby silver mining operations and those who were operating the smelting works. The furnace and mill was built by Col. Sherman Stevens in 1869 and was in use up until March of 1874. 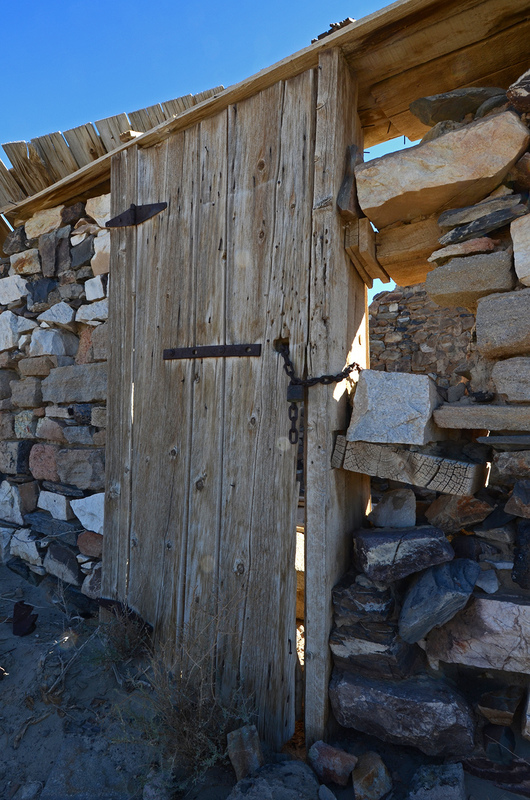 The combined output of this mill and one located nearby at Cerro Gordo was around 150 bars of silver every 24 hours. Each bar weighed 83 pounds, that’s a lot of silver. 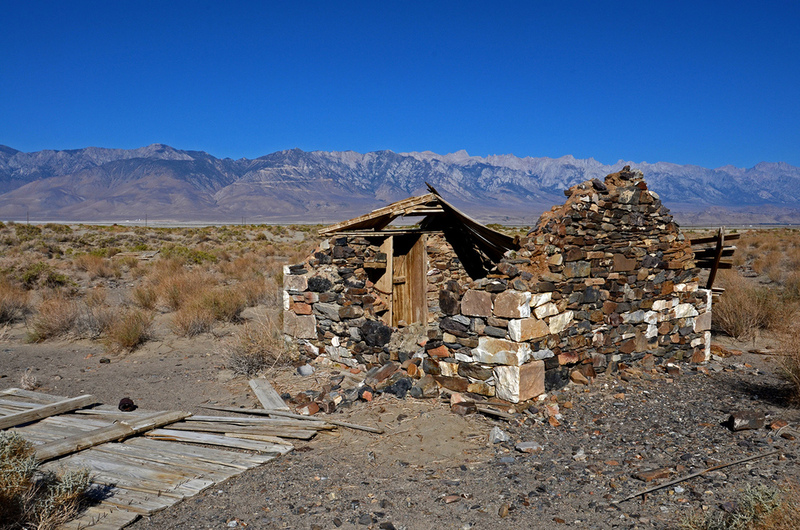 The Lone Pine Earthquake of 1872 damaged the smelters at Swansea, and lifted the shoreline, which rendered the Swansea pier inaccessible by Owens Lake steamships. This resulted in most of the smelting business moving to Keeler, one mile to the south. This was the beginning of the end of Swansea, as people began moving away to follow the work. A summer flood in 1874 severely damaged the nearly deserted town and marked the end of Swansea. There isn’t much left to see today, other than the Stone Monument, a crumbling wall or two, a few bits of the Silver-Lead furnace and a stone cabin which may have once also been a stagecoach stop. Swansea is another great example of how ephemeral the life of a boomtown could be. Pictures from less than ten years ago show the stone cabin in much better condition, I’m glad I was able to see it before it disintegrates even further. 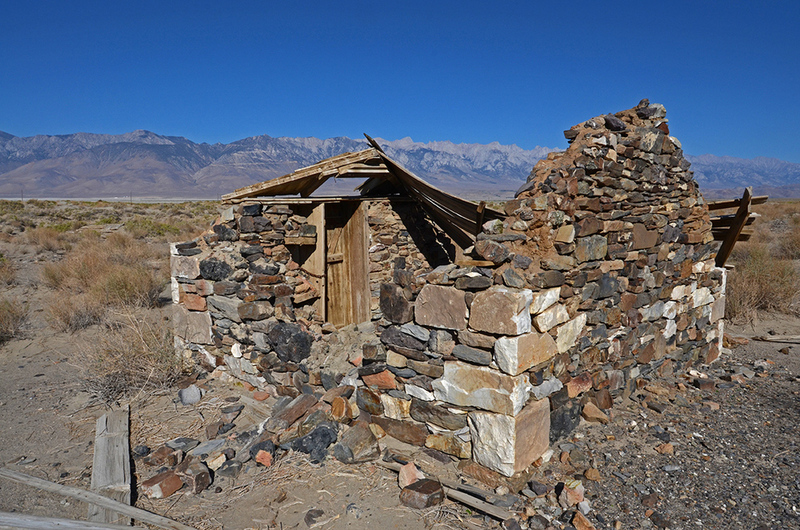 The site is just off Route 136, approximately 10 miles southeast of Lone Pine.